When the Hunt Roman type was first made available to the Hunt Botanical Library in Pittsburgh (now the Hunt Institute for Botanical Documentation), the event was marked with the publication of a slim volume entitled Hunt Roman: the birth of a type. It noted that the new type came about as 'the fruition of a combination of ideals, concepts, and convictions of three personalities', those personalities being Mrs Hunt, after whom the Institute is named, type designer Hermann Zapf, and typographic designer and printer Jack Stauffacher who, sadly, died last November. The type was first used in 1963, by Stauffacher, for a symposium programme. 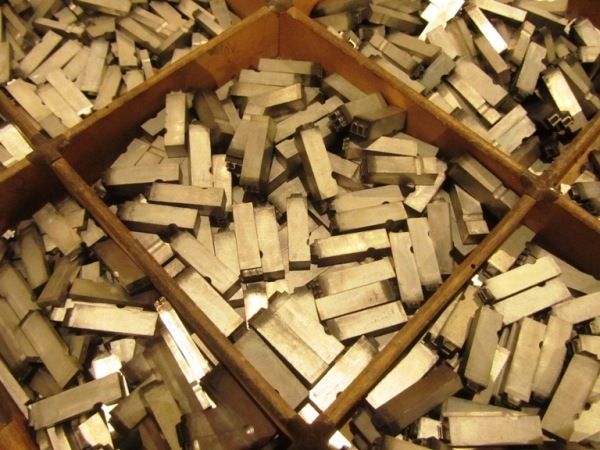 While a visiting student at Carnegie Mellon University in Pittsburgh in 2010, German typographer and type historian Ferdinand Ulrich came across the legendary type in the hot-metal setting workshop of the university. His subsequent intensive research in archives and collections, a stay with Stauffacher in San Francisco, and correspondence and meetings with Hermann Zapf have led to lectures and journal articles on this historic type, and in this essay he reveals how the collaboration between Zapf and Stauffacher developed in the 1960s. Hunt Roman was not designed to serve as a text type, being intended as a display face to accompany Spectrum, and it was originally cut in 14pt, 18pt, and 24pt, though a 12pt was later prepared. We hold the three larger sizes. Hunt is noteworthy for its short ascenders and descenders, making it appear much larger than its body size would suggest - the 14pt could easily be guessed as 18pt and so on. Nevertheless with careful choice of line length and leading it looks very fine on the page and we are of course hand-setting Ferdinand's text in Hunt Roman cast by Stempel. The essay runs to 3,400 words and we are in the process of printing it on hand-made paper from the Czech Velké Losiny mill and will be presenting it in a format similar to the recent Venice Approached: a single section sewn between boards. There will additionally be a photograph frontispiece of Zapf and Stauffacher in conversation. We expect a price around £75 (euro90, USD105). We are happy to take expressions of interest now. Further details and firm prices will be announced in a future newsletter. 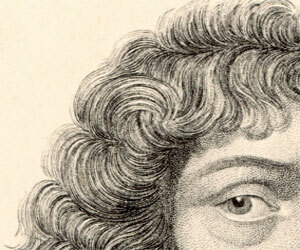 Last month we launched Aubrey's Villa, a facsimile of a manuscript in the Bodleian Library of drawings by seventeenth-century antiquarian John Aubrey, with essays and commentary by Aubrey scholars Dr Kate Bennett, Professor Peter Davidson, and Dr Kelsey Jackson Williams. Unusually for The Old School Press we have 'resorted' to digital printing for what turned out to be a complex book which would have been uneconomical in letterpress and a small edition. However, we are very pleased with the result and reactions have been more than favourable. As it is a book that is somewhat out of the mainstream of our work we have created a website dedicated to it. So just click on that link and find out more! Occasionally a pleasing, often book- or printing-related, text comes to hand and invites the printing of a booklet. It's a chance to exercise one's hand-setting skills in a simple piece. I might even use an ornament . . .
We have several 14pt founts in sufficient quantity to run to a decent number of pages: Octavian, Fournier, Caslon Old Face, Perpetua, Dante, and Hunt Roman in particular. Our booklets are always modestly priced. To see what's available, just go to our website and click on the 'booklets' button on the left. We have two more booklets planned. The first, which we hope to have ready for the Whittington Open Day on 1 September, will be a setting of five typefaces which Jan van Krimpen designed or had a hand in designing; we'll announce more details in a future newsletter.